London, 1965: A brilliant young woman—a prescient advocate for women’s rights at the dawn of modern feminism—has just gassed herself to death, leaving behind a suicide note, two young sons, and a soon-to-be-published sociological study, The Captive Wife: Conflicts of Housebound Mothers. Hannah Gavron had seemingly led a charmed life since childhood: She had been a champion equestrian, had studied acting alongside Peter O’Toole. As a bright, sophisticated adult, swept up in the progressive politics of the ’60s, she was a promising academic and the wife of a rising entrepreneur. No one who knew Hannah ever imagined that she might take her own life. He’s left to piece her life together from what remains: letters, diaries, and the faded memories of old acquaintances. As he digs into her past, he uncovers a darker side to Hannah’s life—societal pressure, marital strife, and inescapable sexism that discounted her desire for more as a sign of mental illness. 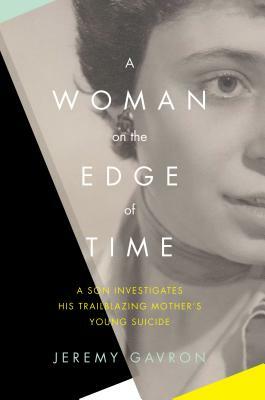 Ultimately, Jeremy not only comes as close as he can to knowing his mother—he also vividly captures the suffocating constrictions placed on every ambitious woman in the mid-twentieth century. Jeremy Gavron is the author of The Book of Israel, winner of the Encore Award, and An Acre of Barren Ground. A former foreign correspondent in Africa and Asia, he lives in London, and teaches in the MFA program at Warren Wilson College in North Carolina. Joyce Carol Oates calls this book an “elegy/memoir that is also a kind of detective story.” Which passages in this book read most like mystery? Do you think the book reveals more about Hannah or Jeremy? Why? In the book, a fellow sociologist of Hannah’s says that “to succeed in those days women had to give up something—children, work, femininity—whereas Hannah wanted and appeared able to have everything” (3). To what extent did Hannah have “everything”? Do you think children, work, and femininity constituted everything for her? If not, what else might she have prized, and what might she have considered missing from her life? Woven into the book are excerpts of Hannah’s letters. How does hearing from Hannah herself affect how you view her? Reading through Hannah’s early report cards, Jeremy writes: “I don’t doubt that she was assertive, boisterous, noisy, but I wonder if there would have been so much concern about these characteristics if she had been a boy” (73). How, if at all, would these gender perceptions have changed today? Do any of the men in Hannah’s life treat her as an equal? Would Hannah’s life have turned out differently if she lived even a few years later? If so, how? What if she were a young woman today? “For as long as I can remember,” Jeremy writes, “my father’s gaze has been directed at what lies ahead. He doesn’t believe in worrying about the past, or lingering over problems that can’t be solved” (158). In what ways has Jeremy’s father’s disinclination to revisit the past shaped the way this story unfolds? “Guilt is one of the most devastating legacies of suicide,” Jeremy writes (166). What legacies did Hannah leave behind? The epigraph of this book comes from the writer Amos Oz, and reads: “Have I betrayed them all again by telling the story? Or is it the other way round: would I have betrayed them if I had not told it?” Do you find Jeremy’s story, in which he writes so intimately about his mother’s life, at all a betrayal? Why or why not?